Where Greenwich Village and the Lower East Side overlap, the trendy East Village is home to the highest concentration of bars in the city. Whether you’re a family looking for a bigger place or a college graduate looking for your first place, you’re going to want New York City’s most convenient moving and storage company. And with great spots like Booker and Dax, you’re going to want to have some extra spending money. 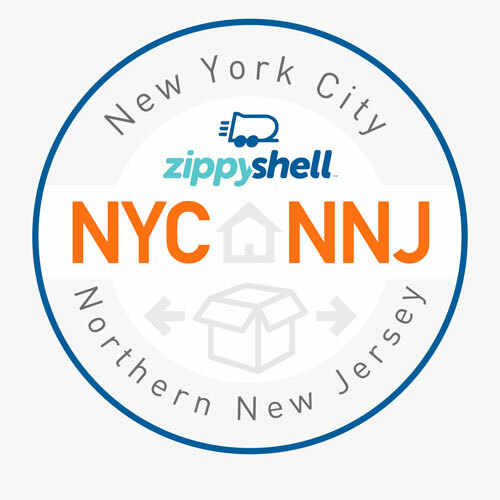 Lucky for you, Zippy Shell is now servicing the residents of Manhattan’s East Village with the most affordable mobile storage, and we are ready and willing to help. If you are trying to relocate into or out of the East Village or simply need a place to put some extra stuff, look no further than Zippy Shell! Easy Mobile Storage in the East Village! Zippy Shell is the easiest way to reclaim all that space in your apartment or townhouse. We can help you de-clutter or downsize with no hassle whatsoever. As Manhattan’s only moving and storage company with 100% street legal storage units, we can deliver our containers more conveniently than our competitors. Unlike other companies, we can squeeze our NYC moving container into any spot, ensuring that you’ll never have to lug your stuff very far. That is convenience that you simply won’t find anywhere else, and it will help give you that extra free time you need to go enjoy the trendy restaurants and exciting nightlife in the East Village! Once we deliver a Zippy Shell portable storage unit, moving can be done at your own pace. You can pack as much as you like - simply let us know when you’re done so we can come collect the mobile storage container. Typically, we offer 2-3 days for our clients to pack their portable storage units - but we can be flexible! Best Moving Services in New York City! Zippy Shell also offer extremely affordable moving services in the East Village. We can actually pack and move your storage unit for you! From there, your belongings will be delivered by one of our professional movers to our safe, secure climate controlled storage facility until you need them back. With our moving services, just let us know where you want our driver to your portable storage container - we can move your stuff wherever you need! We’ll even give you a great price on long distance moving services! Forget about renting moving trucks. Forget about fighting city traffic to get your self-storage space. We take the hard work out of storage…at the best price in the city! Affordable Moving and Self Storage in Manhattan’s East Village! Do you want to know the very best part about portable moving and storage in the East Village? Our efficient, secure portable storage solution is also the most affordable in New York City and Northern New Jersey! Let us prove it to you now… Contact Zippy Shell today to see how little it costs and to arrange delivery of your portable storage unit!